"Main Beach Tower": 'Best Buy in the building', with clear instructions to sell. This big, charming apartment has an enviable generous plan in a building with 'ONLY TWO' per floor. 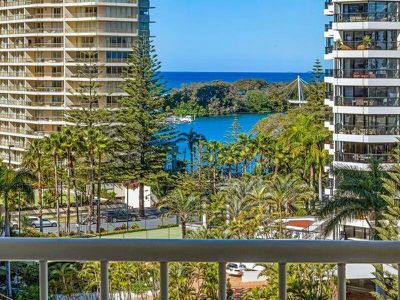 Views across a wide street of river, ocean and down to Coolangatta. 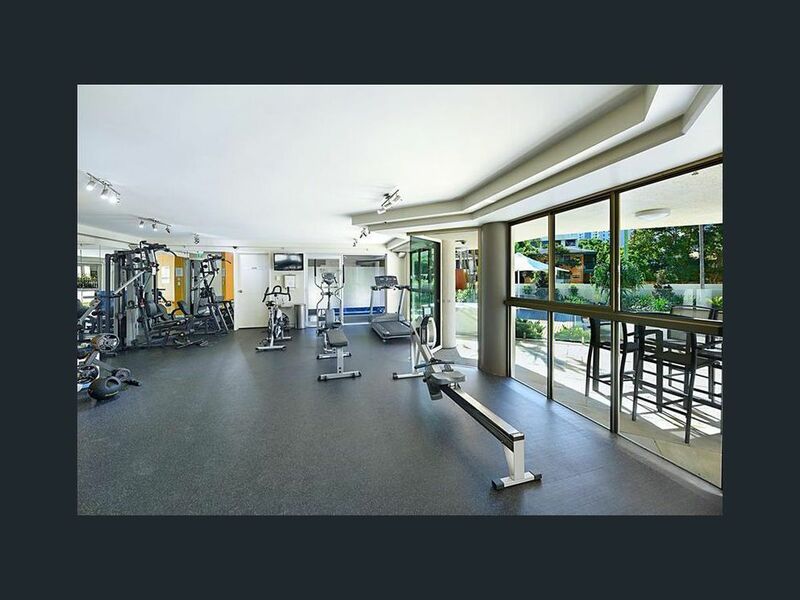 Foyer, podiums and lifts all upgraded, with a New 'Full sized tennis court' and pavilion. Stroll to the Beach, Broadwater, or the gentle hustle and bustle of Tedder Avenue (100 metres) with its eclectic cafes, shops and bars. A veritable triangular smorgasbord. Two balconies and covered (alfresco) entertainment area, with all-weather sliding plantation shutters, set in optimum position. Yes!.... 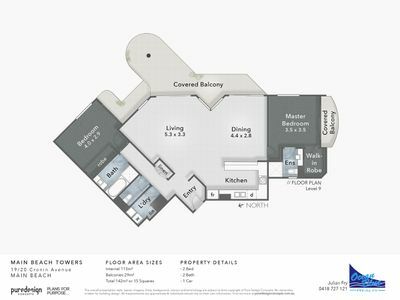 Very Large apartment: approx.144 m2 - open plan. Tiled living areas. 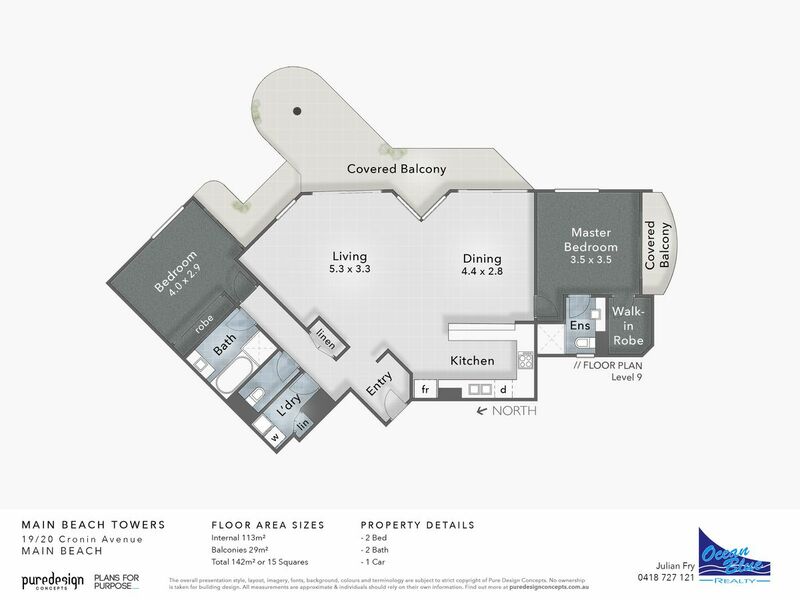 Master bedroom with great views and a generous balcony with another big bedroom separated by the living areas. In fact, the guest bedroom amenities are virtually self-contained next to a bathroom and separate wc. Spectacularly large living with floor to ceiling glass, letting in light and views. And getting fabulous cool breezes in the summer: that's what's needed!! Facilities include a luxurious outdoor pool (in the sun all day) and spa, gymnasium, BBQ area, sauna. 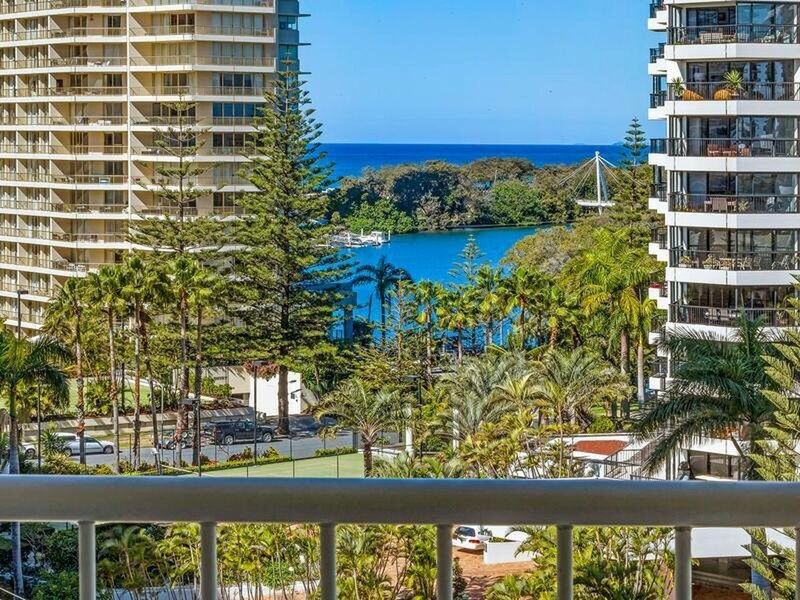 Views to the ocean and across the river to Southport. Recent and immaculate refurbishment adds to the building ambiance. Convenient secure car space and bicycle areas. Storage Facilities near the apartment's front door. Close to the Light Rail for trips around The Coast - or Brisbane. 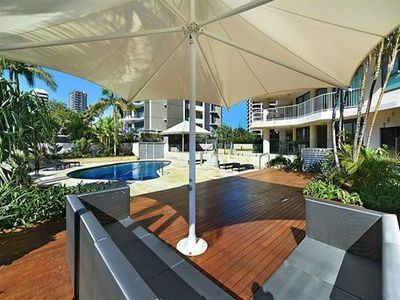 Walk to The Broadwater for activities and browsing @Marina Mirage. Southport Yacht Club is a short stroll.